During a career that stretches back to the mid ­ &apos;80s, Matthew Sweet has never followed trends, though his landmark 1991 album Girlfriend was responsible for starting one ­ its bone­dry, caterwauling sonics opening up a wild and picturesque new terrain for restless singer/songwriters to inhabit and explore. Two decades later, Sweet has once again swung for the fences ­ and connected ­ with the boldly experimental yet still deeply personal Modern Art. 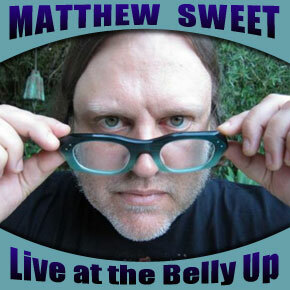 Click here for more information about Matthew Sweet.